The following article was written by Eugene Fama Jr. (Eugene Fama's son) over 17 years ago in May 2000 on the eve of the tech stock collapse. If you work in the investment business, you probably know this scenario. You're at a party or sitting in the business class section of an airplane and the person you're talking to finds out you're in the financial industry. This leads to a predictable string of questions. "What do you think of the market?" I usually shrug, "It's . . . a market." I don't know what to say to this. People should probably be in the market. Then they ask, "What do you think is a hot stock?" This translates to: "Which company do you think has the best chance for future profitability and earnings success?" Most investors think glamorous, profitable companies like, say, Intel (Nasdaq: INTC), have higher expected returns than beleaguered, poorly earning companies like, say, JC Penney (NYSE: JCP). If someone on the plane asks for a hot stock tip, they want to know the next Cisco (Nasdaq: CSCO) or the next Microsoft (Nasdaq: MSFT). They don't want to hear you say "JC Penney" or "Marvel Comics Group" (NYSE: MVL). They might walk away or turn you down to share a cab. And yet, poorly managed, distressed companies have the highest expected returns. Why is this opposite to everyone's intuition? It's possible that people confuse the well being of their human capital with the well being of their investment capital. The receptionist at Intel is better off than middle managers at JC Penney. Since healthy companies are better places to invest our work effort, they feel like better places to invest our money. But buying stock is not analogous to working for, partnering with, or even owning, a company. It's more like lending money to a company. The 1990 Nobel Prize in Economics recognized Merton Miller of the University of Chicago for his research into the "cost of capital." When markets work, the cost of capital to a company is equal to the expected return on its stock. This is a simple but profound notion. It means that companies use stock, like bonds, to fund operating capital. If a company sells off 10 percent of its stock, the buyer has a claim on 10 percent of the company's future earnings. The return the investor receives is the return the company forgoes when it sells the stock. The expected return is therefore the "cost" the company pays to obtain capital. Investors provide capital in exchange for an expected return in exactly the way a lending bank provides capital in exchange for an expected interest rate. Well, if both Intel and JC Penney went to the bank for a loan, which company would pay the higher interest rate? JC Penney would, to compensate the bank for its poorer earnings prospects and greater risk of default. The stock market similarly expects a higher return from JC Penney than from Intel. This induces investors to buy JC Penney even though Intel is healthier. If Intel had a higher expected return, or even the same expected return, nobody would buy JC Penney. People buy the stocks of distressed companies because the market sets the discount rate so that these stocks have higher expected returns. So next time you're at a cocktail party and some hotshot investor recommends a glamorous growth company with strong earnings prospects, proceed with caution. Don't go rushing to sell it short, but don't expect its great earnings to translate into equally spectacular investment returns. Markets wouldn't work if healthy companies had to pay more for their capital than distressed companies. By the time a guy at a party tells you about some stock or sector's glowing earnings prospects, the expected return is likely to be low. 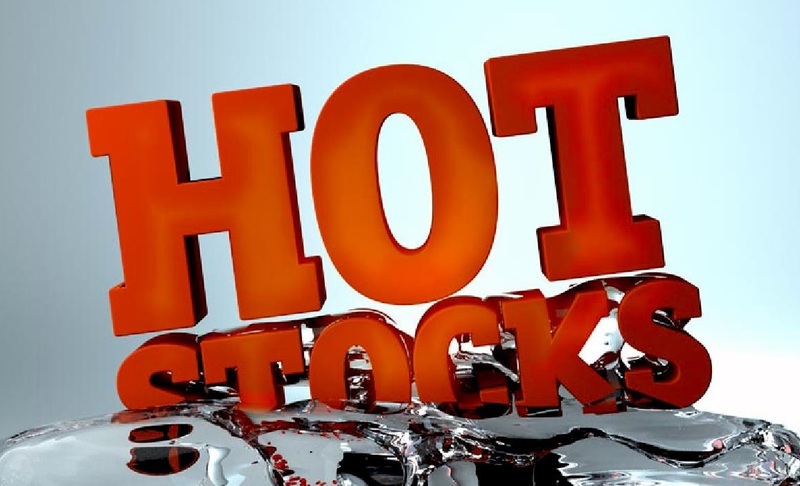 By the time you see it plastered across magazine covers and chatted up by televised investment gurus, the "hot" stock's cost of capital, and its expected return, have probably cooled to a chill. 1 Eugene F. Fama and Kenneth R. French, "The Cross-Section of Expected Stock Returns," Journal of Finance (University of Chicago) 47, no. 2 (June 1992): 427-465. 2 Past performance is no guarantee of future results. Investing in distressed companies may involve greater risk of price fluctuation and potential loss. This article contains the opinions of the author(s) and those interviewed by the author(s) but not necessarily Dimensional Fund Advisors or DFA Securities Inc., and does not represent a recommendation of any particular security, strategy or investment product. The opinions of the author(s) are subject to change without notice. Information contained herein has been obtained from sources believed to be reliable, but is not guaranteed. This article is distributed for educational purposes and should not be considered investment advice or an offer of any security for sale. Past performance is not indicative of future results and no representation is made that the stated results will be replicated.